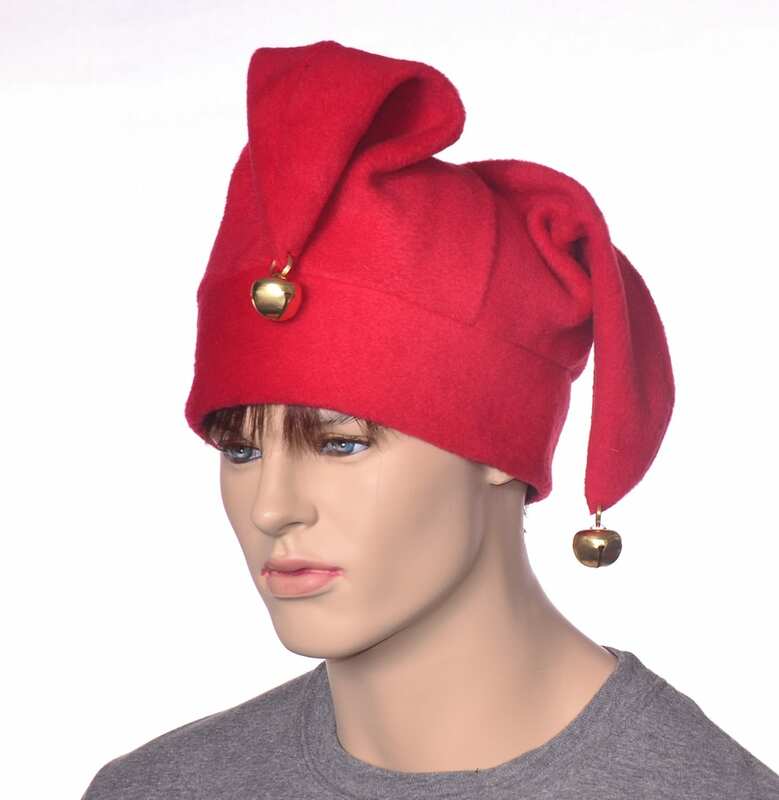 Three pointed jester hat made in red fleece. 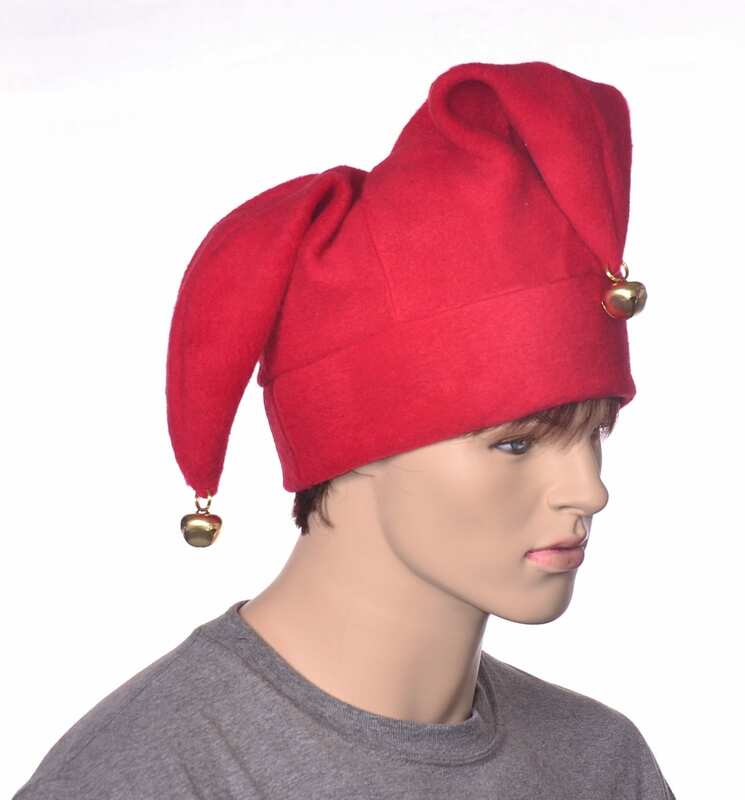 This is a joker style fools cap, one point in the front with two points to the rear side. 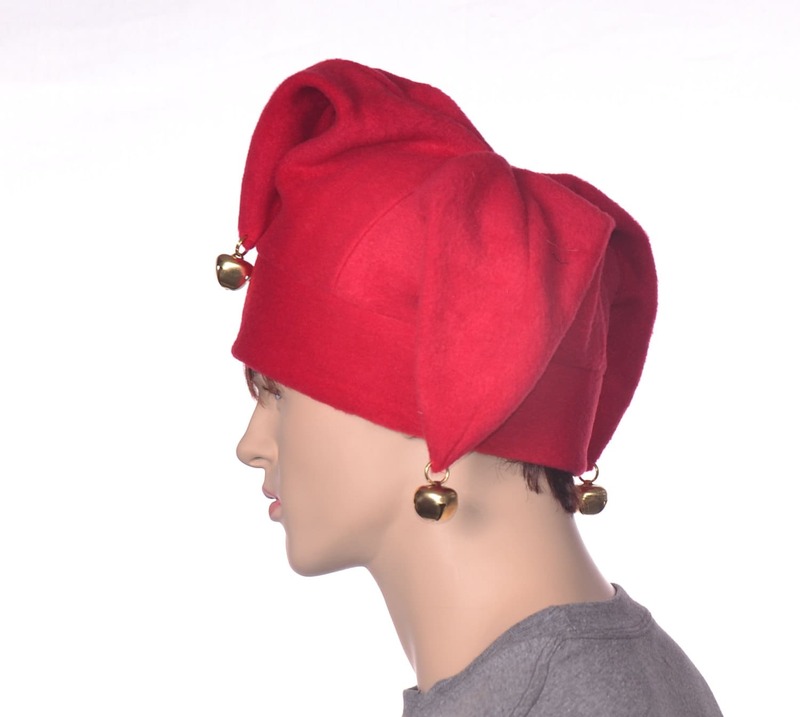 Each of the point are tipped of with a gold jingle bell. 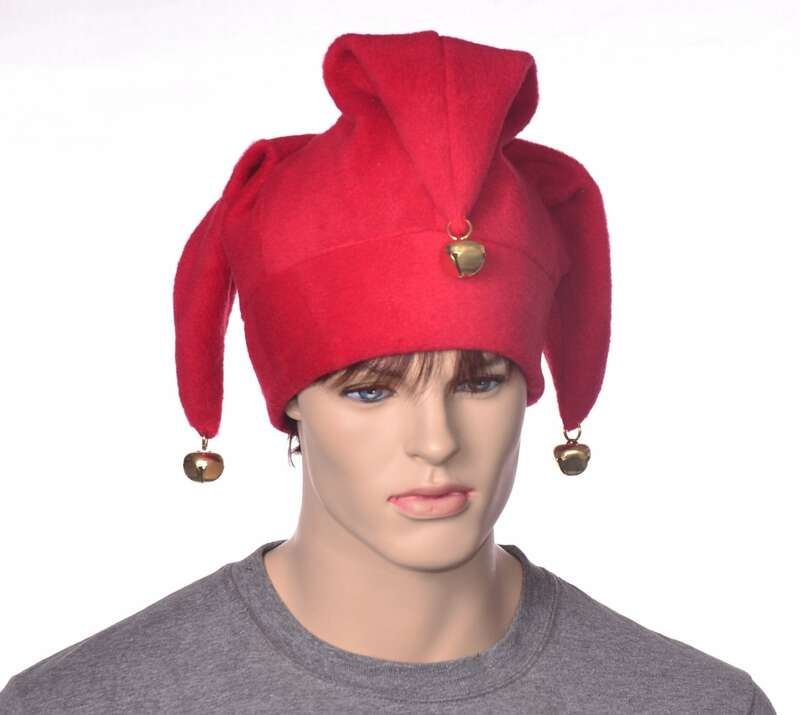 Red double thick headband. One size fits most adults 22-24 inch heads.